Spring is two days away! And while I love the glimmers of sunshine peeking through my windows, it really shows the amount of dust that has settled during the winter. So today’s post is all about Spring Cleaning! You might be saying but what about a window cleaner or bathroom cleaner? A multi-purpose cleaner can take care of all of that. Windows, countertops, bathrooms. You really don’t need several products. I love the Get Clean kit by Shaklee which has the Basic H cleaner that cleans EVERYTHING. It’s all natural and non-toxic so you can feel good about using it anywhere. 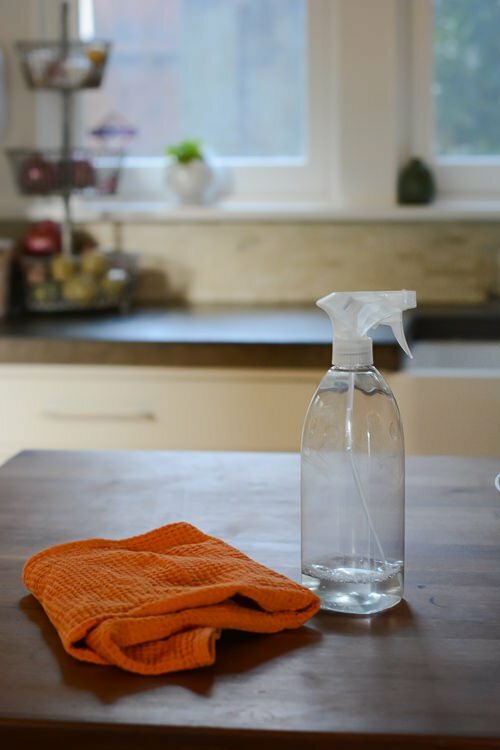 If you want to save some money it’s so easy to make your own cleaner with simple vinegar and water. Vinegar inhibits the growth of mold and mildew as well as some bacteria. Use it on countertops, windows, showers. Even pour some in your washing machine to get the moldy smell out. To make your own cleaner use equal parts vinegar and water. Add some drops of essential oils like lavender or lemongrass to make it smell heavenly!